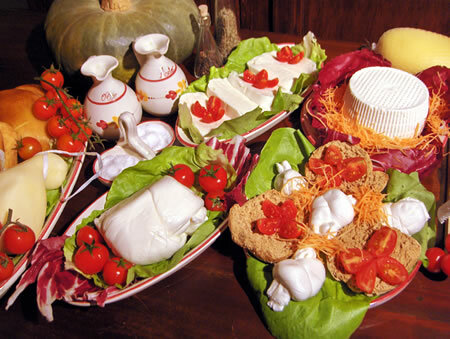 During the month of September, the festival of typical local agricultural products unwinds. A market exhibition that has been organised since 1980, its view is to make known and promote the work of the peasants and to demonstrate the atmosphere of the simple life of country people. The festival sees the staging of many stands, each dedicated to an agricultural product and to its gastronomical specialty. During these days, Colli di Fontanelle becomes the destination of thousands of people from every part, wanting to taste and compare the many products on display at the stands: eggplants, figs, peppers (capsicum), tomatoes, grapes, zucchini, jars of preserves, vegetables marinated in vinegar, cakes and liqueurs. The good aroma of homemade bread and roasted sausages, the smell of steaming corn on the cob, the crowns of vegetables, wood products and iron, recall the atmosphere of country life and offer a truly authentic evening. The festival lasts three days, ending with an impressive fireworks display.